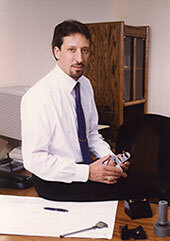 Since 1988, Walt Przybyl has been designing and building fixturing and workholding, first as an Applications Engineer at a machine tool distributor, and later under his own business, PRZ Technologies, Inc. As an Applications Engineer, Przybyl was part of an engineering group that installed over 250 turn-key machine cells. In 1994, he incorporated what would become PRZ Technologies, but remained part time while still working full time as an AE. In early 2001, Przybyl left his AE position and dedicated himself full time to his own business. Przybyl has accepted and delivered on some challenging applications that, at first, seemed almost impossible to execute. He designed and successfully implemented a set of steady rests that kept an extremely long work piece steady in a difficult turning application, allowing the customer to produce long shafts within the required tolerances. This installation was still in production over 15 years after its initial implementation. 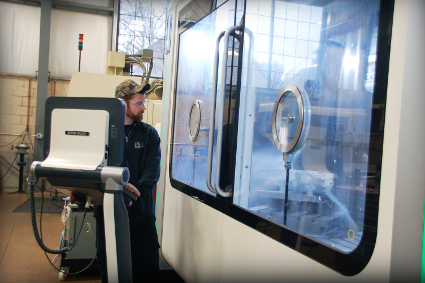 PRZ Technologies has also assisted customers in their conversion from older, manual processes to full CNC manufacturing cells, working with the customer, their chosen machine tool distributor and tooling reps to create an efficient, repeatable process for the customer's product. We have also assisted in implementing fully automated robot-load cells by providing the automation peripherals required to interface the machine/fixture with the robotics. Because of his experience as an Applications Engineer, Przybyl and by extension, PRZ Technologies, Inc. can provide support to turnkey applications and the company has become one of the "A-list" fixture builders that distributors call on to help implement their turn-key machining cells.